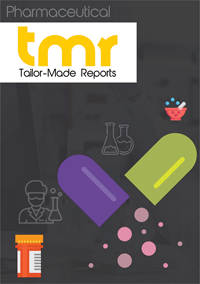 The global hepatitis diagnostic test market is prognosticated to witness a surge in its demand during the forecast period 2018-2028. The rising incidence of hepatitis A, B, and C in comparison to D and E, in the last decade, has fuelled the demand for hepatitis diagnostic tests around the world. Hepatitis is a medical condition in which the liver swells up, leading to other types of complications such as liver failure, anorexia, cirrhosis, and jaundice. It has been observed that nearly 300 million people across the world are infected to any one form of hepatitis, thus pushing the need for hepatitis diagnostic test in various parts of the country. According to the World Health Organization, nearly 500,000 people die on a yearly basis due to hepatitis. The increasing awareness about the disease and its symptoms will fuel the demand for hepatitis diagnostic tests. The global hepatitis diagnostics test market is likely to expand at 6.5% CAGR during the forecast period. According to TMR Research, the market is likely to reach US$6.9 bn by the end of 2028. Various bodies such as government, non-profitable organizations, and NGOs, play an important role in the global hepatitis diagnostics test market. These bodies help in creating awareness about various medical conditions by providing correct information associated to the symptoms and detection techniques. Rise in awareness regarding the disease positively impacts the market. Apart from these, technological advancements such as molecular diagnostics comprising RNA and DNA testing are promoting the market growth. However, it has been noticed that the prevalence of hepatitis type B and C is excessively high in countries with middle-income and low income. A few of the African and Asian countries do fall in this category. Lack of skilled labors accompanied with high cost for test is likely to hinder the market’s growth in the future. Techniques such as PCR, CLIA, ELISA, and RIBA which are used to perform immunoassays are not cheap, which makes them expensive for patients and their families in underdeveloped countries. This may restrict the market’s trajectory to an extent. Nevertheless, liver function tests which are the first line detection for this disease is likely to push the market during the assessed period. Recently, the US Food and Drug Administration has given a nod to a pair of assays which are designated for the use with an immunodiagnostic system which is known to spot HBV in individuals. These move has offered the physicians and patients of consolidating all their test onto Ortho’s VITROSs system. This is likely to make consumers more aware about the disease in future. On the basis of geography, North America held the largest share in terms of revenue in 2016. Early adoption of advanced technologies and high level of awareness among consumers about novel therapeutics and diagnostic tests is contributing to the growth of market in the region. Initiatives by non-government and government organizations in Canada are also contributing to the growth of the market in the region. For example, The Public Health Agency of Canada conducted the World Hepatitis Day for creating awareness regarding hepatitis detection, this has positively impacted the demand for hepatitis diagnostic tests in the country. It is predicted that Asia Pacific is going to witness a surge in demand for detection techniques in the coming years. There are few players in the market who are dominating the market through strategic partnership and acquisitions with regional or local players in an aim to expand their footprints in various regions. Major players in the market are Abbott Laboratories, MedMira, Inc., Danaher Corporation, Bio Rad Laboratories, and DiaSorin S.p. A.